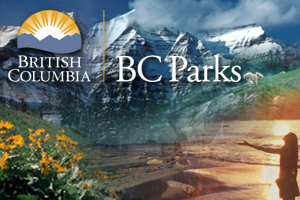 Rendezvous Island South Provincial Park is part of the BC Marine Trail Association network – a series of campsites, resting areas and safe havens designed and cared for by recreational boaters and paddlers. Once connected, this marine trail will extend from Vancouver to Prince Rupert and down into Puget Sound. This undeveloped pristine wilderness park is a west coast paradise in the heart of the Discovery Islands. Rendezvous Island South Provincial Park comprises the entire southernmost island in the Rendezvous Island group, which consists of North Rendezvous Island, Middle Rendezvous Island and Rendezvous Island South. Rendezvous Island is situated between the north end of Read and Cortes Islands in Calm Channel off the east coast of central Vancouver Island. This park is accessible by boat only. Boaters can reference marine chart #3539 and #3541 for more information on this area. The closest communities are Quadra Island, Cortes Island and Campbell River. Approved Purpose Statement and Zoning Plan [PDF] for Rendezvous Island South Provincial Park is available online in pdf format. Paddling around the beautiful Discovery Islands is a very popular activity. Numerous commercial companies in nearby communities offer rentals and kayak tours and there are eco tourism/adventure lodges in the area as well. The Rendezvous Islands are set amongst some of the finest salmon fishing waters in BC. Fishing is permitted as per provincial and federal fishing regulations. All anglers should check the current regulations issued by Fisheries and Oceans Canada prior to fishing. Anyone fishing or angling in British Columbia must have an appropriate licence. There are opportunities for SCUBA diving at this park. There are no designated campsites at this park, however random wilderness camping is allowed. No facilities are provided and there is no fee. This park is accessible year-round. Please practice “Leave No Trace” camping ethics.